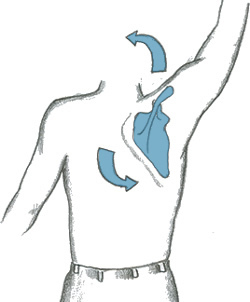 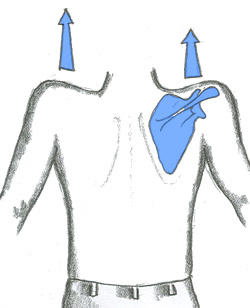 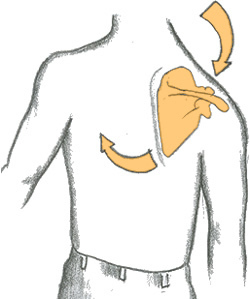 The scapula is able to slide freely over the chest wall because of the loose connective tissue between serratus anterior and that wall.All the movements occur around the sternoclavicular joint with minor adjustments at the acromioclavicular joint. 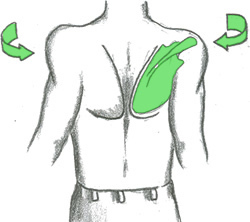 Assist to draw the shoulders back. 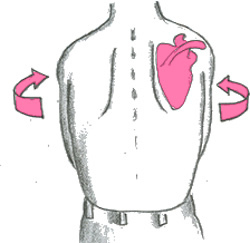 Weight of the upper limb. 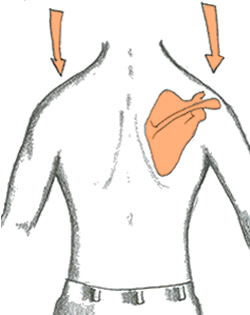 Lower part of serratus anterior.